Can someone pinpoint the exact location of this once great mansion house? Was it on Dumbarton Road, or was it where the god-awful Kingsway flat current stand? If someone could pinpoint it using Google Earth, that'd be top drawer. What dates are we talking about? This helps to find the right maps. Also, these sphinxes look as if they have been part of another building (they look a bit "plonked down" here)? Any idea where they might have been before? Or who carved them? 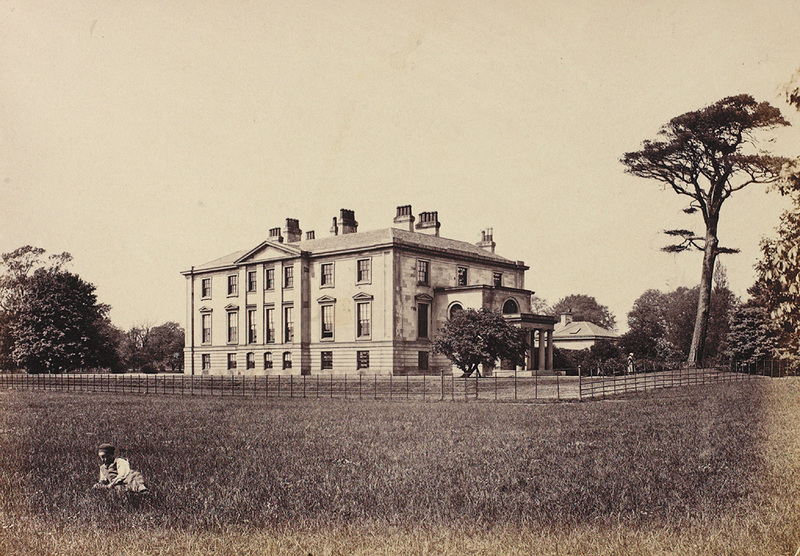 "Scotstoun House, photographed by Thomas Annan in 1870. 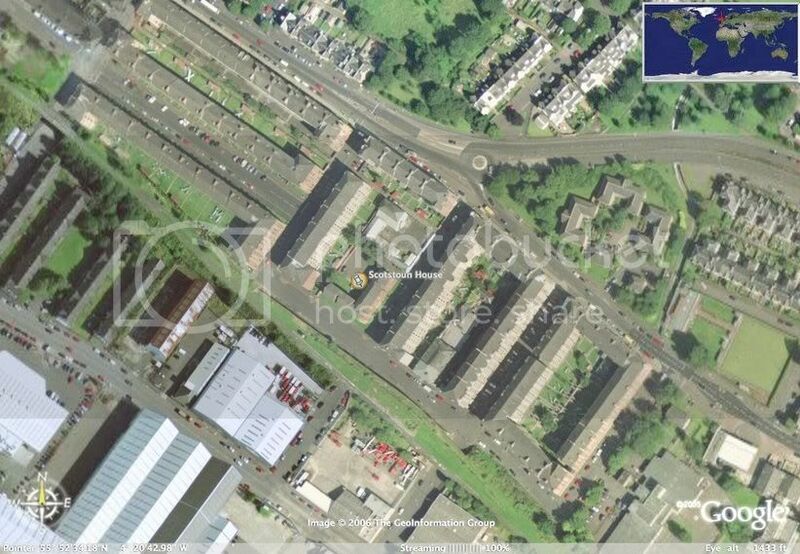 It stood to the south of Dumbarton Road near the ground on which Ardsloy Place was subsequently formed." The book "Old Scotstoun – a village in the city", Miranda Marshall (1975) might be of use. I've been looking for the Marshall book for some time -- still can't find it. 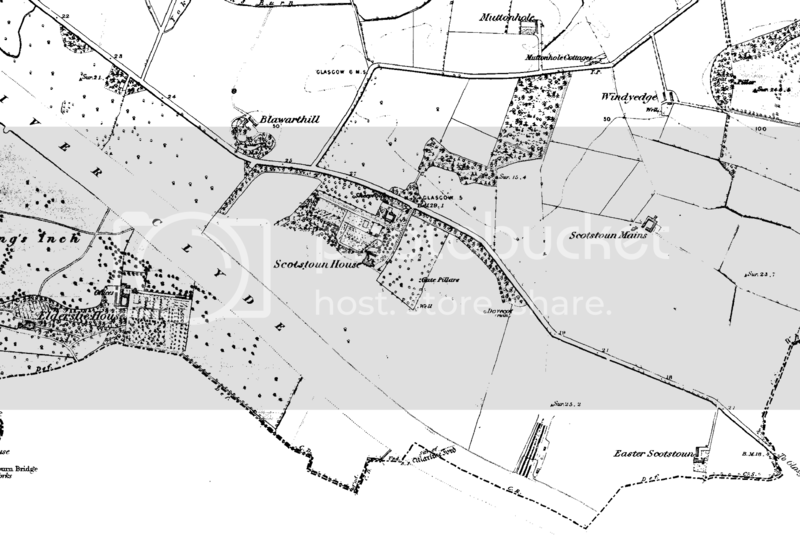 I believe that this is an Adair map from the 18th Century, showing Scotstoun House to the South. So I was talking crap. 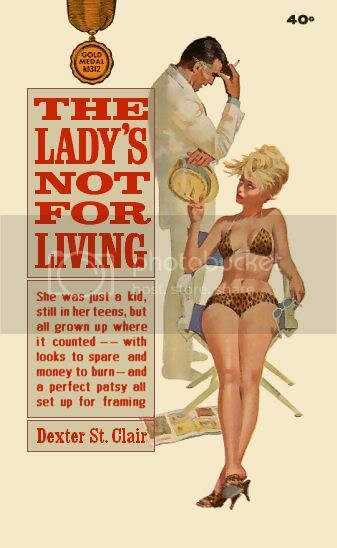 Thanks for the scans, Crusty. 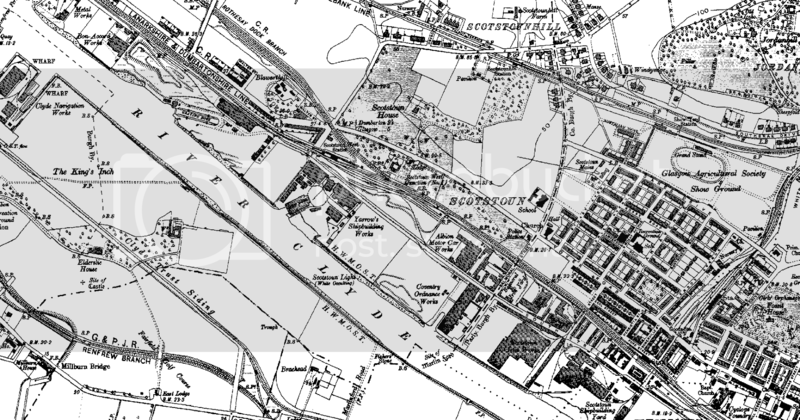 It seems, then, that Scotstoun House did stand on the site of the Kingsway flats, just off Dumbarton Road. As ever, a hideous replacement. 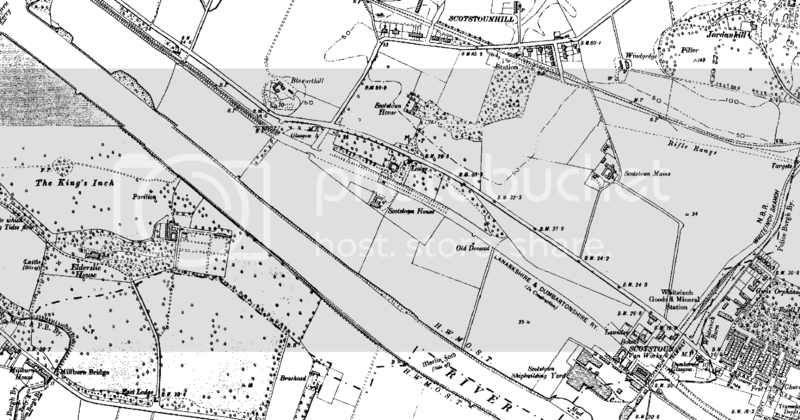 No it was south of Dumbarton road and was demolished when they built the railway embankment. There was a children's home on the site of the Kingsway flats. Dexter St. Clair wrote: No it was south of Dumbarton road and was demolished when they built the railway embankment. 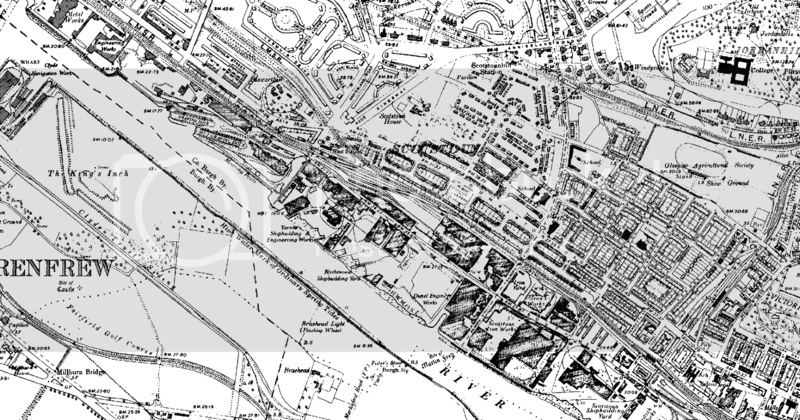 Is the 1939 OS map scanned by Crusty (above) inaccurate, then? I think working from my own maps was the thing that began to confuse me as to the House’s exact location. Also, where can I find more info on the children's home you speak of? 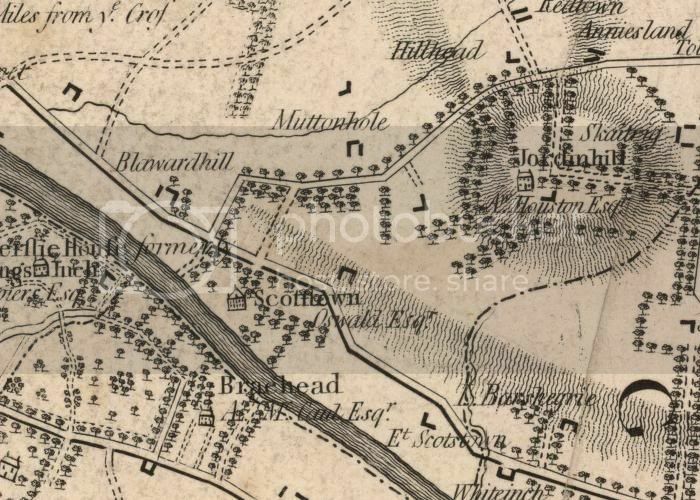 The First Two maps show Scotstoun House south of Dumbarton Road but the 1899 map shows a House north of Dumbarton Road which I believe became the Children's Home. 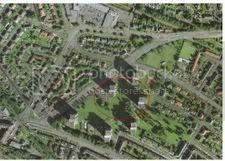 The later maps show this home as "Scotstoun House" I used to have a map which showed a Children's Home where the Kingsaway flats are now. I have tried googling but there was an orphanage next to the park and I think that's hampering the search. In 1691 the estate was acquired by William Walkinshaw who greatly improved the place, He demolished the original Scotstoun House which stood on a site now the property of the Albion Motor Car Company (presumably somewhere between the river bank and south of Dumbarton road) and built a handsome new one on higher ground now occupied by the Kingsway high flats. Until well into this century (1900s) the lodge of the original house stood at a point on Dumbarton Road near the present Duchall Place. The lodge of the new house stood some 100 yards west of this but on the north side of Dumbarton Road at the foot of Larchfield Place. The house and lands were purchased in 1825 by yet another relative Lady Oswald whose family fortune had come from the Tobacco Trade. She did not like the austere frontage of the house and had it all torn down that same year and a new front more to liking substituted. This was the Scotstoun House known to the older residents of Scotstoun and Yoker. The Factors of Scotstoun Estate were well aware of it's value for housing development towards the end of the 1890s, and a company was formed "Scotstoun Estate Building Company" to plan and build the terrace houses which occupy a vast expanse of land between Lime Street and Queen Victoria Drive. In 1912 a claim was put on record in the Transactions of the Old Glasgow Society that "Scotstoun is the finest garden city in Glasgow." I asked my wife what the name of the home was? She told me they just called it "the homies"